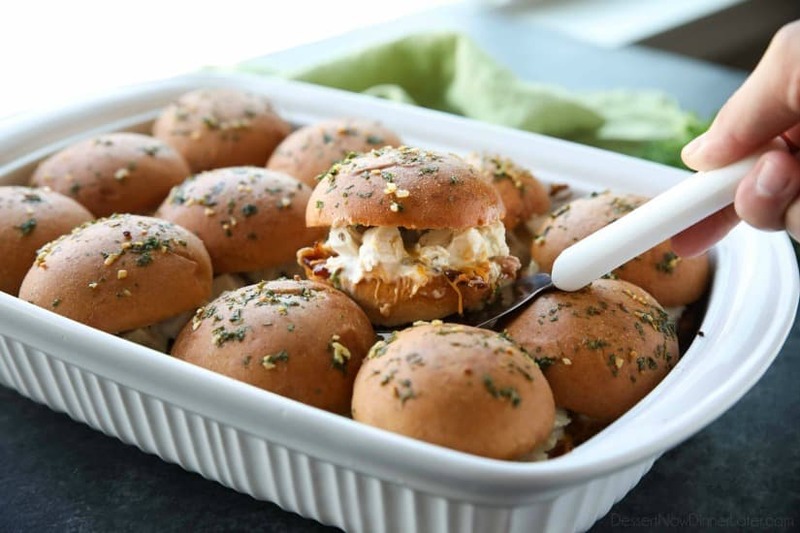 Chicken Bacon Ranch Sliders - Dessert Now, Dinner Later! 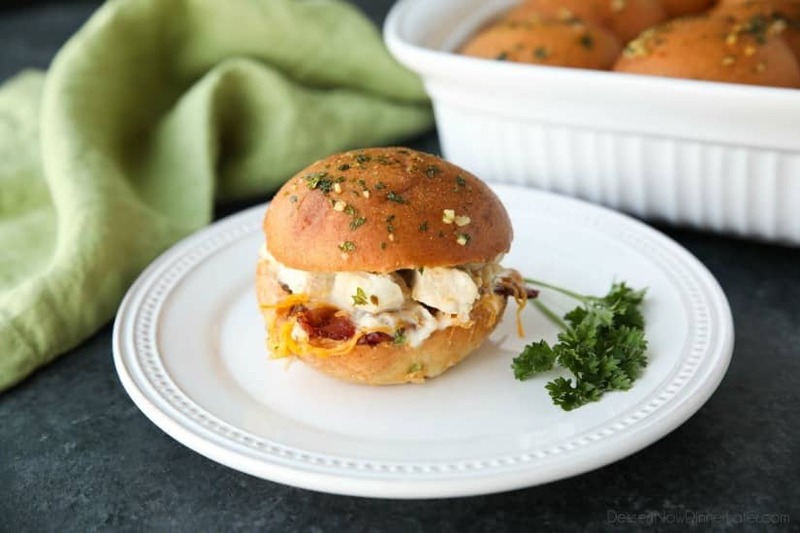 Chicken Bacon Ranch Sliders are perfect for dinner or the big game! 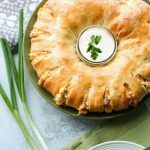 Quick and easy to make with leftover chicken. Plus, they taste great! 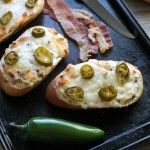 With school back in session and football season upon us, it is great to have a recipe like this on hand! 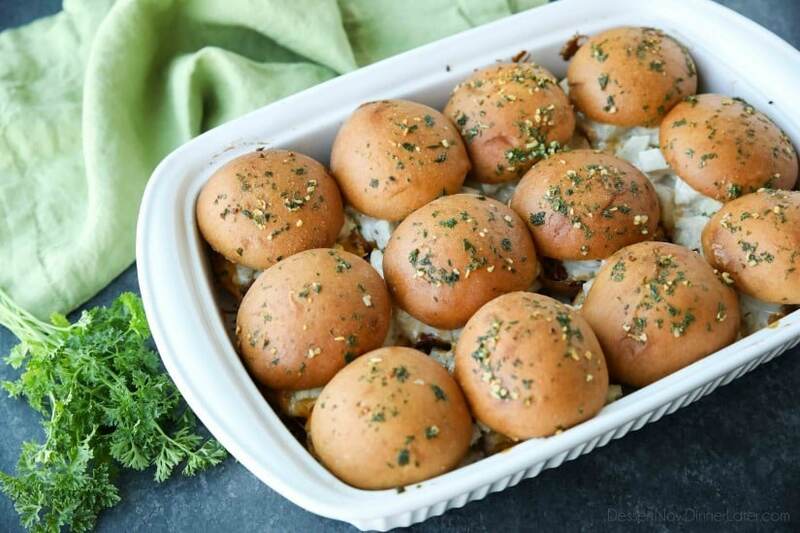 Chicken Bacon Ranch Sliders are super easy to make and are sure to be loved by all! 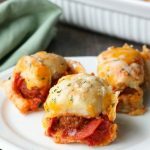 They’re meaty, cheesy, and full of saucy ranch all tucked inside a delicious roll. 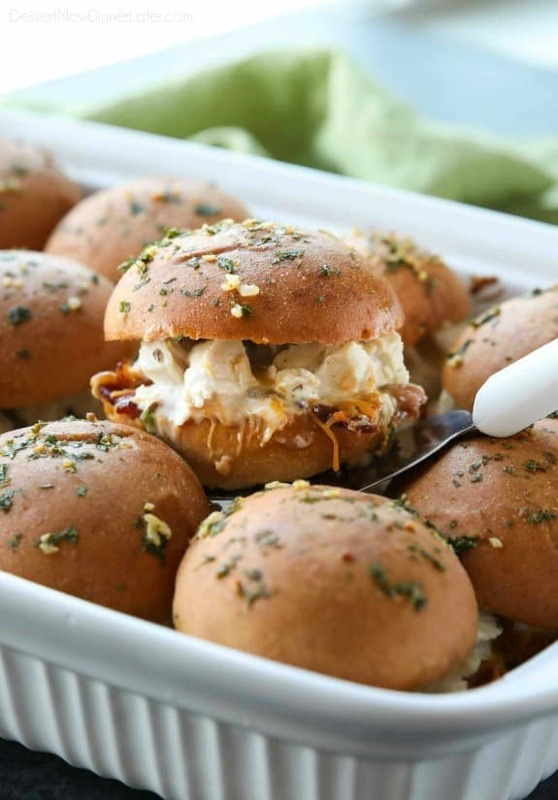 I’m not sure if I’m late to the “sliders trend” or not, but this combination of chicken, bacon, and ranch is a winner in my book! My PICKY kids were even like, “These are good mommy!” FINALLY! Something they like, haha! 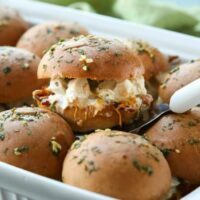 These Chicken Bacon Ranch Sliders are great for a family dinner or game day party because there are a lot of them to go around. Twelve to be exact. 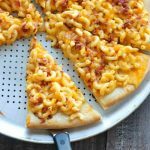 I just love that all you have to do is throw all the ingredients in a pan and heat it in the oven! Easy! Especially if you use leftover rotisserie chicken and pre-cooked bacon. You can always meal prep over the weekend too and prep what you need to make the week’s meals easier. The best part for me is the rolls. I’m a sucker for carbs! I used Rhodes Warm-N-Serv Wheat Rolls that are already baked. You simply heat them up, and they taste FRESH you guys! So good! Enjoy! 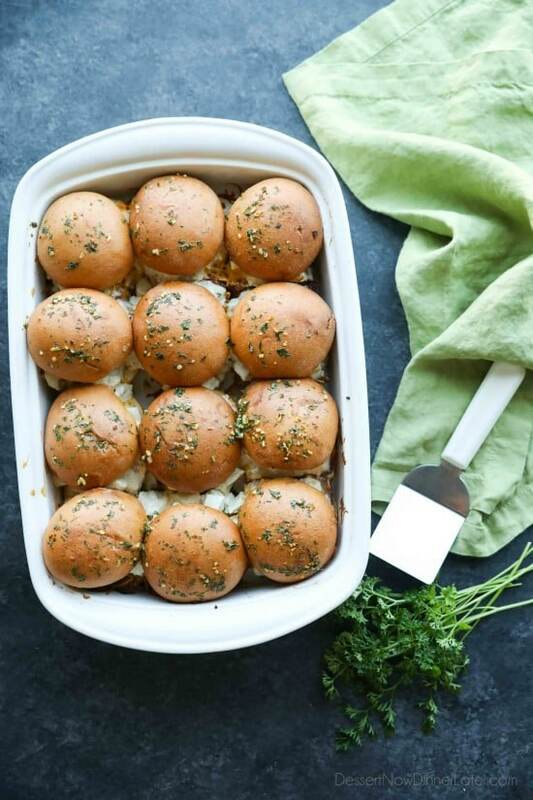 Place the bottom of the rolls inside a lightly greased 13x9-inch baking dish. First layer with bacon, then sprinkle with the shredded cheese. Place the top half of the rolls on top of the chicken layer. Combine the butter, garlic, parsley, and salt. Spoon or brush over the tops of the rolls. Cover with foil and bake at 350 degrees Fahrenheit for 25-30 minutes or until heated through (165˚F) and bubbling in the center. (If using cold chicken and ranch, this could take up to 1 hour.) Serve hot. Enjoy!